The lineup for SmackDown's Royal Rumble go-home show has already largely come into focus. 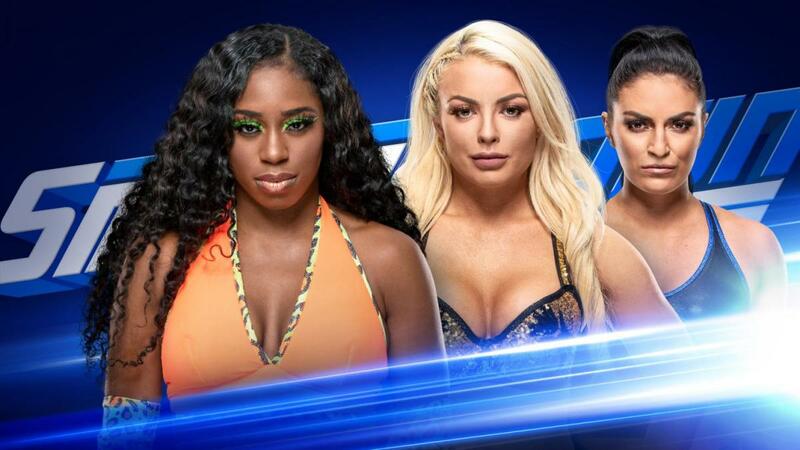 Naomi vs. Mandy Rose is the latest match to be announced for Tuesday's SmackDown. Their storyline has been building over the last several weeks, with Rose playing mind games with Naomi by trying to seduce Jimmy Uso. Last week's SmackDown featured an angle where Rose gave Uso a key to her hotel room. Uso showed up and told Rose they can't do this and it needs to stop. A photographer appeared and took pictures of Uso and Rose. It was revealed that Rose was just trying to destroy Naomi's life by pretending to be interested in her husband, but Uso then left the room and sent Naomi in. Naomi and Rose brawled to end the segment. Tuesday's SmackDown is taking place at INTRUST Bank Arena in Wichita, Kansas. Rey Mysterio vs. Andrade in a two-out-of-three falls match, Samoa Joe vs. Mustafa Ali, and Vince McMahon moderating a face-to-face segment with WWE Champion Daniel Bryan and AJ Styles have also been announced for the show. Bryan will defend his WWE title against Styles at the Royal Rumble next Sunday (January 27).